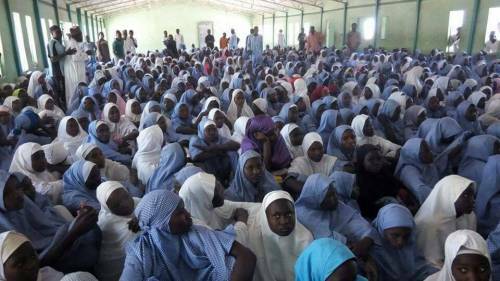 The UN has expressed outrage at the abduction of 110 schoolgirls of Government Girls Technical College, Dapchi, Yobe, by suspected Boko Haram terrorists. UN Secretary-General, Mr. Antonio Guterres, said in a statement by his Spokesperson, Mr. Stephane Dujarric that he “strongly condemns the abduction and attack”. Guterres said he was gravely concerned over the situation of the schoolgirls’ abducted during an attack on their educational institution in Dapch, Yobe state, on Feb. 19. The Secretary-General called for the immediate and unconditional release of all missing girls and for their safe return to their families. The UN chief urged the Nigerian authorities to swiftly bring those responsible for this dastardly act to justice. Guterres reiterated the solidarity and support of the UN to Nigerian Government and other affected countries in the region in their fight against terrorism and violent extremism. The UN had earlier described the abduction as “another horrific incident where young women and girls are targeted by terror groups”.